The Nikon AF-S 24-120mm f/4G ED VR is a fairly popular lens often sold with a full frame camera such as the Nikon D750 at a great discount. Offering a constant f/4 aperture throughout the 5x zoom range makes this a great lens for general photography. The lens sells for around $1100.00 US, but when sold with the D750 the lens is effectively around $500-$600. That makes this lens a great value when purchased with an FX body. Overall this lens is a little on the big and heavy side. The lens uses 77mm filters, which can be a bit on the expensive side. The lens is well built and feels nice and solid in the hand. Zoom and focus are both smooth and have a nice amount of resistance. The lens includes a petal shaped hood as well as a soft lens pouch. Nikon does not indicate if the lens is weather sealed. It does feature a rubber gasket at the lens mount, but most of their lenses do these days. It feels like there might be some internal gaskets, but I am not certain about that. I would not recommend using this lens in inclement weather just to be safe. Usually the manufacturer will state if the lens is weather sealed as this is a big selling point. Image quality is very good. Being a constant f/4 aperture does help to control depth of field throughout the zoom range. 120mm at f/4 can yield a fairly shallow focus. The lens does exhibit some vignetting and barrel/pincushion distortion. However, these are both easily corrected in post processing. Focus is fast, silent and accurate. I have not had any issues with focus on my D750 with this lens that were not attributed to me or my subject. I find the lens to be very sharp and good contrast throughout the zoom range. Currently the lens averages around 4.57 out of 5 stars – not bad at all. If purchased with an FX body such as the Nikon D750 this lens is a fantastic value at an effective cost of $500-$600. I would strongly recommend purchasing the lens in a kit with an FX body. However, if you are not in the market for an FX body then this lens is still a good option when used on an FX body. On DX, the focal range is a little short on the wide end. When used on an DX camera the 24mm gives a similar field of view to a 36mm lens on FX. This is considered wide angle, whereas 24mm is borderline “ultra wide”. 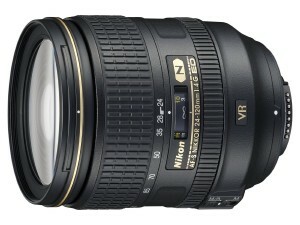 For many photographers they will look at this lens or the 24-70mm f/2.8 options. I personally don’t need f/2.8 and prefer to have the extended range instead. Most modern DSLR cameras shoot very well at the higher ISO settings. The Nikon D750 can comfortably shoot at ISO 6400 and get much better results than the ISO 1600 films of the past! If you need f/2.8 and can afford the 24-70f/2.8 then by all means you should get that. However, if you want a good all-around general purpose lens, then I would seriously consider the Nikon AF-S 24-120mm f/4G ED VR. based on 702 user reviews online.